Great news! we have a new opening for a Celebrate Shorebirds intern in Wenatchee, WA. Like the other internships, this intern will be focusing on engaging Latinos on conservation issues. This intern will be working with Team Naturaleza, a non profit that works with the Latino community around the area of Wenatchee, engaging them in informal environmental education. This is a great opportunity for anyone in the area and anybody who wants professional training and real life work experience. The grant requires the intern to be between the ages of 18-25 and of Latino descent. EFTA provides a monthly stipend, and travel acommadations to the mandatory training in February in San Diego. We encourage locals to apply, because EFTA or Team Naturaleza will not provide housing at the site. Robert G. Stanton, former Director of the National Park Service, came to speak at the University of Colorado. Mr Stanton grew up during the civil rights era of the 60’s. He was the first African-American National Parks Service Director. He went on to do many great things for the National Park Service, the American public, and in many ways, paved the road for people of color in the environmental field. He delivered a motivational talk on the history of the park services, the importance of the preservation of our parks and the importance of a diverse group of future stewards. He is what many would call a natural born leader and he knows exactly who he is. I am also very fortunate to know who I am. That is a strange thing to say, but at the same time how many of us can answered that with full clarity. On Wednesday morning I drove down to Habitat for Humanity of Metro Denver, where I attended a workshop hosted by the Colorado Alliance for Environmental Education and the Denver Foundation on inclusiveness in non-profits. The workshop was to be run by an Angela Park, founder of Mission Critical (look her up when you get the chance), advisor in some sense for the white house, and someone that looked like she knew her stuff, yet I didn’t know what to expect. 2013 EFTA Intern Michelle Mendieta (Left) 2015 EFTA Intern Carlos Lerma (Right) at the CAEE and Denver Foundation workshop on non-profit inclusiveness. The reason I share this with you is because of what I learned on that Wednesday at that workshop, that helped me shift my perspective. Angela Park opened her wonderful workshop with a very important message, consider yourself a leader in this field of inclusiveness. That’s it! I want to make sure that very single being, no matter what color, gender, age, orientation, belief or what, is in one way or another involved in conserving their beautiful earth and the creatures that live on it. Now that’s some inspiration! She added that we could not be effective leaders without “answering the why” and what she meant was, why is it important to your organization to become diverse (in all sense of the word), why is it to you. We all chuckled as she gave us some comedic renditions of previous environ groups she’s worked with struggling to answered the simple question of why; many of them not being able to conjure a reason that didn’t seem self-interested, but she said it’s okay if it’s a selfish reason as long as it’s YOUR reason. See that is what is most important; you can’t be inclusive because it is “the right thing to do,” while it is totally the right thing to do there has to be a clear, concrete reason that will guide your organization to inclusiveness. She continued on to talk about identity, as an individual, group, organization and so on. Now this is were I felt that a lot of us could learn more, because the topic of identity is so complex and convoluted, I don’t think half of us even know what to call ourselves and others. That’s the thing about people, we can’t help but just label everything, and this was my problem. I Identify as Latino, very proud of it, and that’s how every person of any background should be, proud of it. The problem is when you let your group identity become your individual identity and maybe I had let my group identity slip a little into who I am as and individual. That’s why when Angela reminded us that while in some ways we might associate with the subordinate group, in others we might be part of an oppressive dominant group, whether conscious of it or not. Yes I am Latino, but I’m also a male and heterosexual, which give me big time privilege when it comes to certain things in life. It is crucial for us moving forward that we all understand that we have some privilege in on way or another. I can’t disproportionately say that I am at a disadvantage because I am Latino, I have advantages in so many other ways. Mr. Stanton was an African-American student at Huston-Tillston University when he first started working for the Park Service, during arguably one of the most difficult times to be a person of color. Yet we can see now 50 years later, that back then he embraced his privilege and decided to be a leader; to know who he truly is and not let himself be defined as someone who is disadvantaged, but instead someone who through hard work and perseverance is a reminder, just like a monument is or a state park, to all of us that we can all be leaders in the field of inclusiveness as long as we are willing to acknowledge and accept all the parts of who we are. Position Location: California Coastal National Monument (CCNM) Monterey, CA. At the lighthouse deck monitoring common murres. 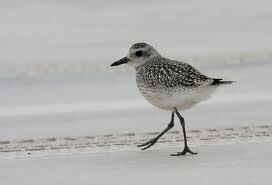 Black-bellied Plover in non-breeding plumage. Environment for the Americas (EFTA) invites you to apply for our America’s Great Outdoors internship opportunity. 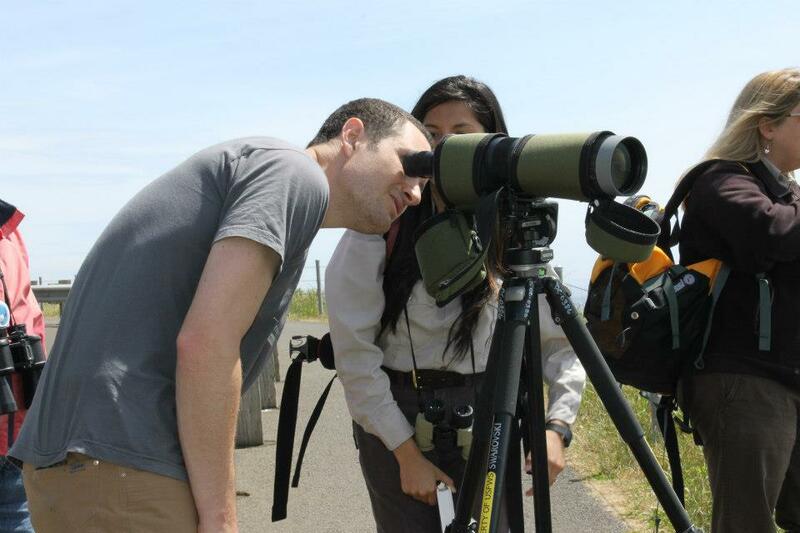 Internship work will focus on shorebird education and research. You will also become familiar with career opportunities in the field of wildlife conservation. Knowledge of conservation is not needed but a willingness to learn is required and an enthusiasm for nature encouraged. You will receive all necessary professional training and will gain real life job experience working alongside the EFTA staff and other wildlife conservation professionals. Ten weeks of migratory bird surveying at the California Department of Fish and Wildlife’s Elkhorn Slough National Estuarine Research Reserve. Work with the Bureau of Land Management’s (BLM) California Coastal National Monument (CCNM) on Black Oystercatcher nest monitoring. Help other CCNM partners with their shorebird projects (e.g., US Fish and Wildlife Service at the Salinas River National Wildlife Refuge) and California State Parks with Snowy Plover monitoring. Write reports on findings, enter data into spreadsheets, make recommendations, and analyze data as assigned. Assist in the development and implementation of an outreach program to engage with local communities in order to promote migratory and shorebird conservation and BLM policy and regulations relating to public use. Deliver onsite and offsite public presentations on shorebird conservation to youth and adults. Promote programs with local English and Spanish-language media (radio, newspapers, schools) and engages the local Spanish speaking community in order to promote conservation. Work with youth and adults in field education and classroom programs. Environment for the Americas (EFTA) will collaborate with U.S. Forest Service and Bureau of Land Management on Celebra las Playeras (Celebrate Shorebirds), a comprehensive approach to engaging Latinos in natural resource careers and conservation action through internships at five sites. EFTA will recruit 8 Latino interns (ages 18-25) from colleges and local communities, especially youth who live near research sites to help create long-term relationships between agencies and nearby Latino communities, serve as role models, and increase awareness of conservation issues and careers in conservation. One intern will serve as liaison to recruit other interns, promote education, and track participant field experience and a second will work with USFS NatureWatch to develop online program materials and encourage awareness and future participation. The remaining interns will engage in field research, training, and data collection at sites in California, Colorado, and Alaska where monitoring shorebird populations is a priority. Fluency in Spanish and English languages. Native Spanish speaker preferred. Some college course work in environmental education, natural resource management, wildlife biology, environmental science, or related field. A cooperative manner and the ability to work as part of a team and independently. Willingness to work a flexible schedule, including some weekends, evenings, and overnight travel. Good cross-cultural communication skills, experience with public speaking, and ability to work with leaders, educators, and other community members. Schedule: Part-time (15 + hours weekly) or full time (30 + hours weekly) positions available. Please note: Grant requires interns to be between the ages of 18-25 of Latino/Hispanic descent. It is mandatory for the intern to attend the conservation training scheduled to take place in California in February 2013. All expenses for the training will be covered. For questions about the position please contact Environment for the Americas at (303) 499-1950. We are now recruiting for our Latino internship positions and are eager to spread the word about this amazing opportunity! Position Location: Yaquina Head Outstanding Natural Area, Newport, Oregon. Deadline to Apply: November 20, 2013. Environment for the Americas (EFTA) invites you to apply for America’s Great Outdoors – Celebrate Shorebirds internship opportunity. 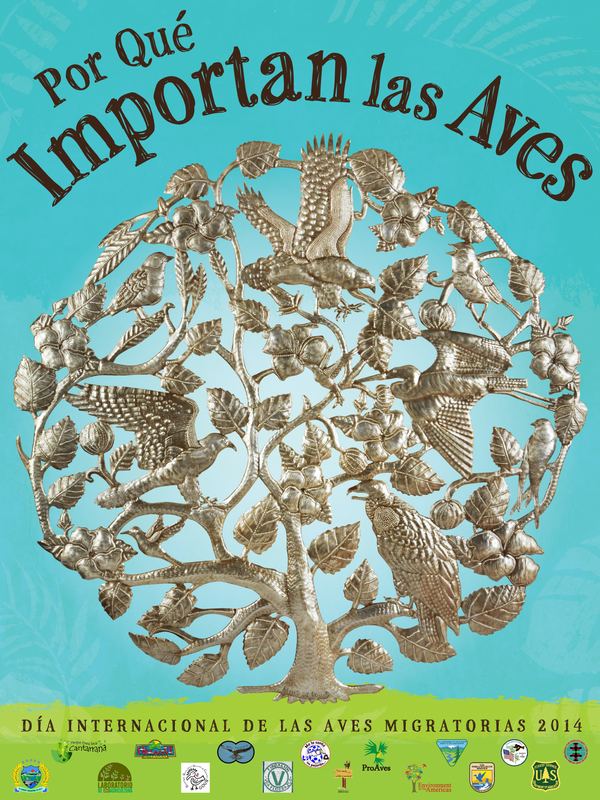 Internship work will focus on bird research, Latino community outreach, and bilingual environmental education. The intern will also become familiar with career opportunities in the field of wildlife research, environmental education, and natural resource management. Knowledge of conservation is not needed but a willingness to learn is required and an enthusiasm for nature encouraged. You will receive all necessary professional training and will gain real life job experience working alongside state and federal wildlife professionals. Conduct 10 weeks of shorebird monitoring and data entry. Conduct observations to quantify disturbance to seabird breeding colonies caused by bald eagles and other predators. Assist in monitoring seabird reproductive study plots. Assist in conducting seabird nestling diet and feeding rate studies. Perform literature searches on birds and macroinvertebrates. Assist in the development and implementation of an outreach program to engage local communities in order to promote migratory bird conservation relating to public use on public lands. 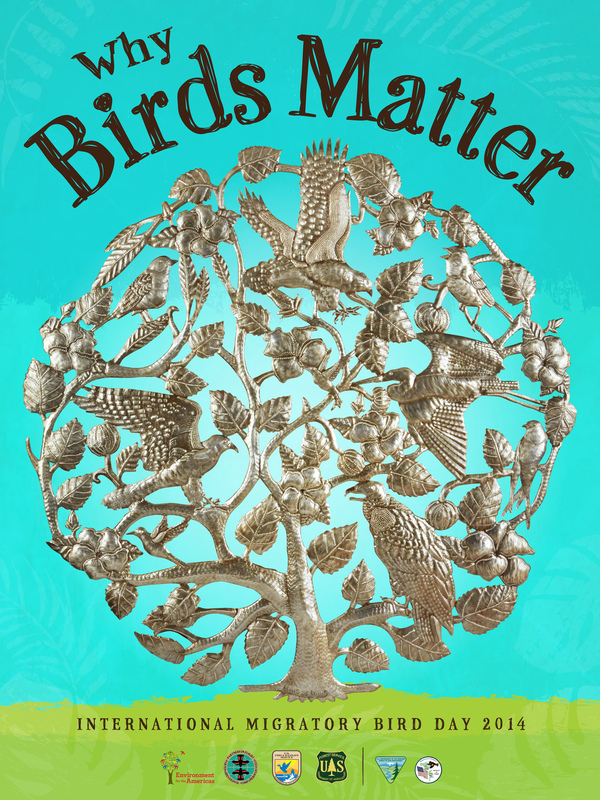 Deliver onsite and offsite public presentations on bird identification and conservation to youth and adults. Serve as a natural history interpreter at Yaquina Head Outstanding Natural Area. Assist in leading field trips for 4th– 5th grade students participating in the USFWS Shorebird Sister Schools Program and Yaquina Head Tidepool Education. Environment for the Americas (EFTA) will collaborate with Oregon State University, Hatfield Marine Science Center, the U.S. 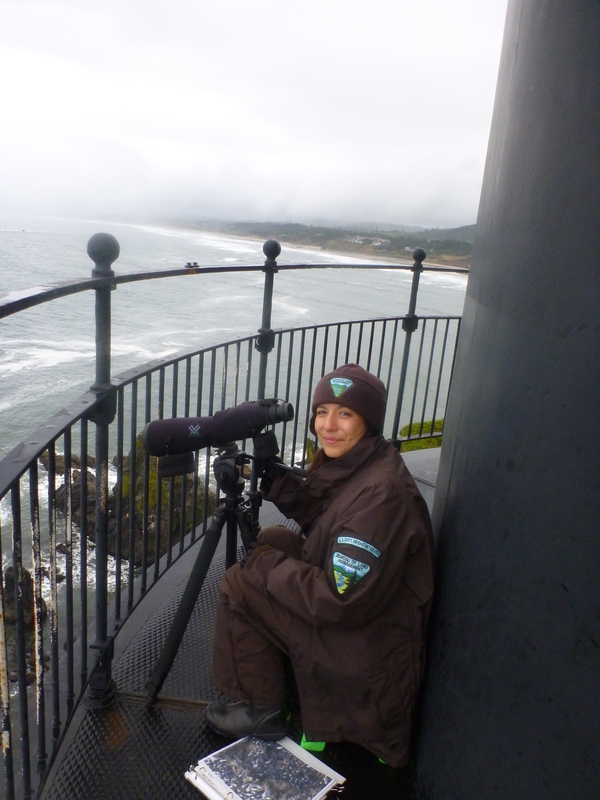 Fish and Wildlife Service, and the Bureau of Land Management in Newport Oregon with this one internship position based at Yaquina Head Outstanding Natural Area. This grant provides a comprehensive approach to engaging Latinos in natural resource careers and conservation action. This internship program will recruit 8 Latino interns (ages 18-25) from colleges and local communities, especially youth who live near research sites to help create long-term relationships between agencies and nearby Latino communities, serve as role model, and increase awareness of conservation issues and careers in conservation. Compensation: $1,000/month stipend for full time work. Local commuting area candidates are desired but housing maybe available if selected from outside commuting area. Must have legal authorization to work in the United States. Please note: Grant requires interns to be between the ages of 18-25 of Latino/Hispanic descent. It is mandatory for the intern to attend the conservation training in Monterey, California February 2014. All travel, food, and lodging will covered. For more information visit environmentfortheamericas.wordpress.com or call Yaquina Head Outstanding Natural Area- Phone: 541-574-3142.